← Chicken Soup, Lemon Rosemary Roasted Chicken, red and white Quinoa, and 2008 Don Ernesto Crescendo! 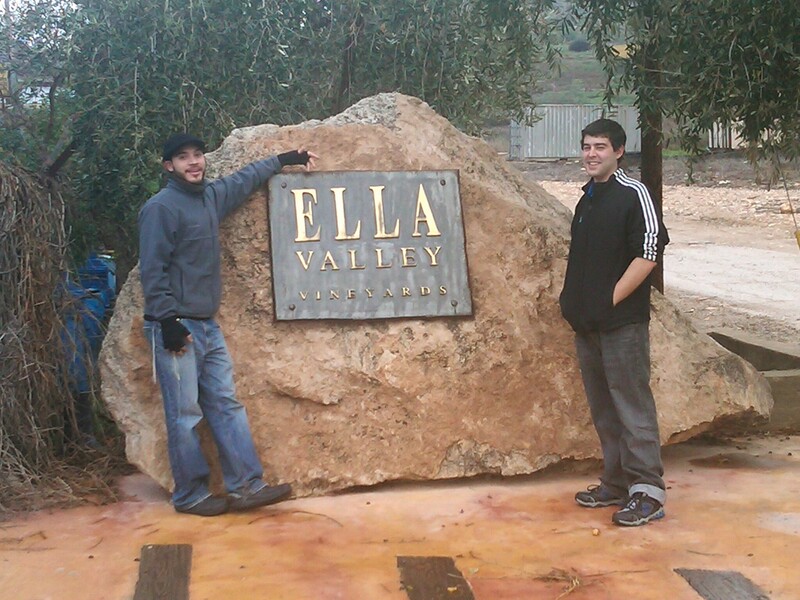 Whenever we get the opportunity to go to Ella Valley Winery, we take advantage of it with extreme gusto. This was my fourth trip to Ella Valley Winery, with my two previous ones described here and here. It was a crisp and cool morning on February 2nd, 2011, when my two friends and I made our way down to the winery. 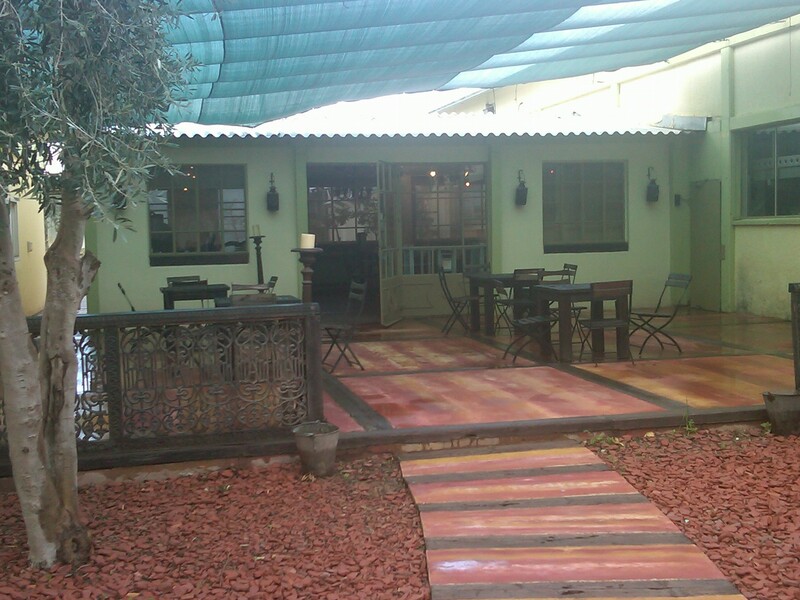 The winery is situated in the Kibbutz Netiv Halamed-Heh, in a valley surrounded by rolling hills and sheer cliffs. The road to the kibbutz is not as harrowing as it may look, but if you try to take in the beautiful scenery; the craggy rock faced hills, the steep inclines, and the sheer rock walls that surround you, while attempting to drive your car down the meandering and serpentine curves that make up Highway 38, well that makes for some harrowing experiences on both sides of the road. Highway 38 is the road that weaves you down from the higher Jerusalem elevation to the valley some 12 miles down below. As we have said often, everything about this winery is beautiful in both presence and product. In 1997 the idea of a winery was just that, an idea, however, the desire was real and they chose the perfect person to get the project rolling. Danny Valero, the winery’s general manager, directed the project, using technology he brought back from Napa Valley, where he cut his teeth on the maddening complexity of the wine business. The exact location that his findings brought him to was in fact a nexus of the past and the future, bound by the love of wine and religion. The valley of Ella was where David beat Goliath and was where the winery unearthed an ancient winepress dating back to the beginning of the Common Era, and where they excavated remnants of a settlement dating from the Second Temple period – Hurvat Itry. In 1998 the Aderet vineyard was planted using advanced techniques borrowed from the Napa Valley. The vineyard is planted with Cabernet Sauvignon, Cabernet Franc, Merlot, Shiraz, Pinot Noir, Petite Sirah, Chardonnay, Sauvignon Blanc, Viognier, Semillon and Muscat grapes. In 2001, the winery was constructed in the Kibbutz Netiv HaLamed-Heh, with both Udi Kaplan who manages the winery and the winery’s head wine maker, Doron Rav Hon. As I have stated in the past postings, I first heard about Ella Valley Wines when I went to dinner at a now defunct kosher restaurant in Berkley, CA. I called the winery and they told me who imported the wine. At first the importers were not a well know commodity, but they have now switched to a different partner who does a fine job in importing almost all the wines in the Ella Valley wine portfolio. As the three of us drove up to the winery, I once again remembered why I love this winery so much – clean lines and fruit. This winery is truly unique in the wines they make; the wines are expressive, fruit clean, and almost always concentrated or at least fruit true. I use many adjectives to explain this winery because to me this winery allows the fruit to truly express itself. The fruit is visible in the wine, the wine has clean lines, meaning that the wine does not lose itself with tannin and overpowering oak. Instead the wines expression is clean with bright fruit and clean balance. These are not wines that people call feminine or elegant, instead these are wines that straddle both the masculine and the feminine and instead concentrate on the wine, its fruit, and its balance. There is another winery who that this almost as well – Tzora Winery, a winery we will be writing about in the not too distant future. The winery, the vineyards, the tasting room, the vats, the oak barrels, everything about this winery screams beauty. 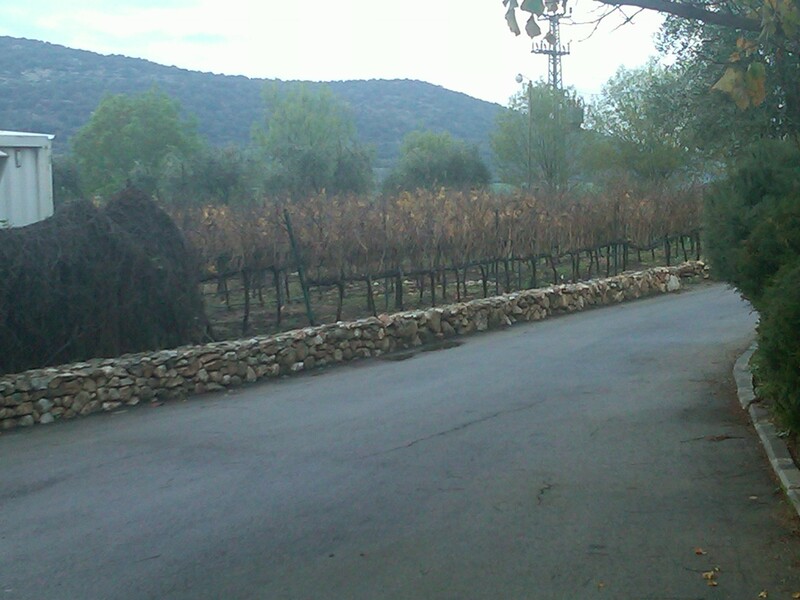 As you approach the winery, the first things you see is the beautiful rock with the winery’s name emblazoned on it. Quickly that image flees from your memory as you are hit by a cacophony of Mr. Valero’s pets! He is an avid collector of rare and beautiful colored birds, which are fond of making a racket to gain them your attention, which they all believe are their self ordained birthright. Of course, once you enter the beautiful wine tasting room, the clacking dims to a mute as your attention is once again diverted to the task at hand, admiring the winery’s handiwork – its wine. 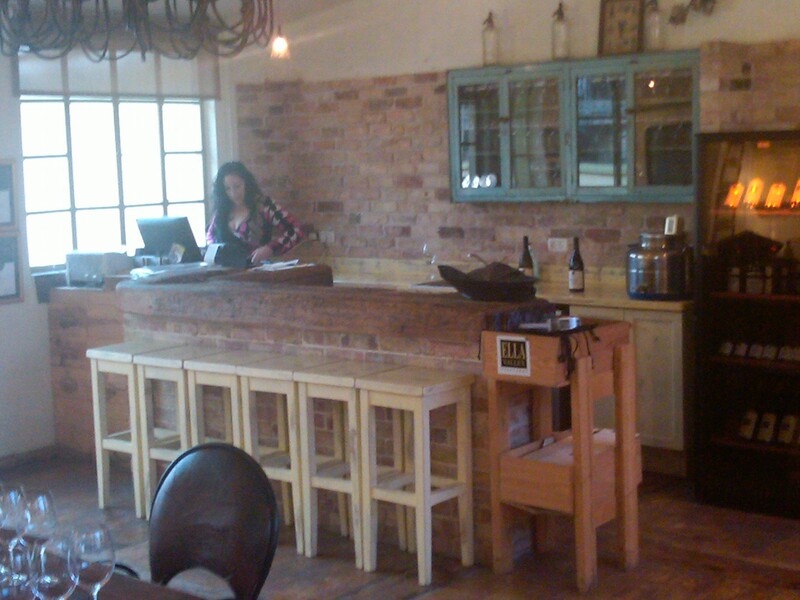 The wine tasting room is themed after an oak cabin in manners, with warm colors and brick adorning the walls. The styling may be a bit old-fashioned, but the room is filled with every imaginable new world amenity, down to the ever important espresso machine! 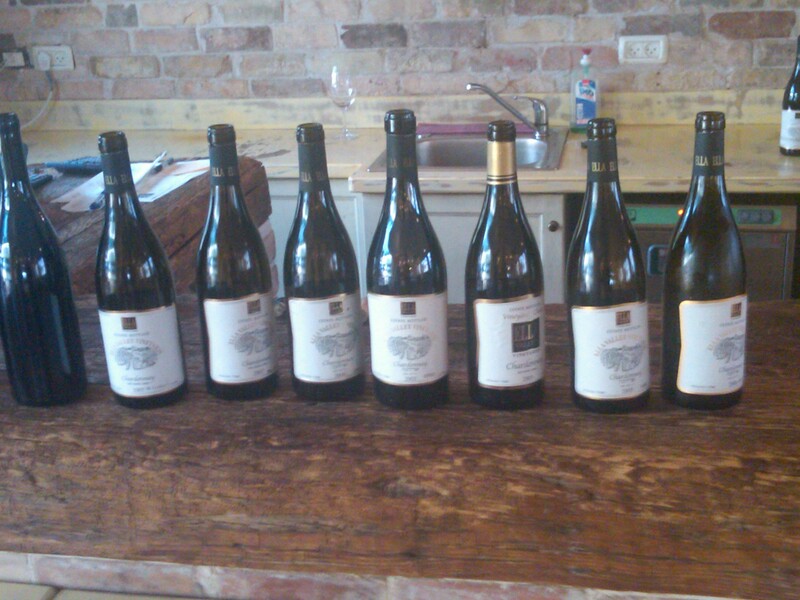 Once we had our needed shot to start the day, we were honored to sit down with the head wine maker, Doron, for a horizontal tasting of all of Ella Valley’s white Chardonnay wines. It was really quite a sight to see all the wines lined up for the tasting on the wine bar. As always a wine tasting is not about the wine solely, conversation inevitably moves about and once again Doron proved to be a wonderful conversationalist, with clear leanings towards certain aspects and a quick wit on all subjects. Though much of the talk still revolved around the wine and food. One of my friends is a trained chef and he enjoyed the cheese and olive spread that was kindly placed before us on the table. So to start, a fair amount of the conversation was on the food and wine. Doron Rav Hon was trained in the ways of wine from the old French schools of Burgundy and those leanings inevitably find their way into the wines. The wines show clean fruit, much like Burgundy or Chablis. The wines started off being racked twice a year, and over time Doron moved to racking the wine fewer times to give the wine more edge, but also much more depth and concentration. The fruit has always been sorted on a sorting table to remove green fruit, leaves, and shoots that get dumped into the picking boxes. Finally, even though the winery has grown from bottling 90,000 bottles in 2002 to 200,000 bottles in 2010, they still act like a boutique winery. A classical definition of a boutique winery is that each of the varietals and each of the different terrains where that varietal grows in the vineyard are treated differently and uniquely, as they should. Say a clump of Cabernet Sauvignon vines are perched on a hilltop and they receive far more sunlight than does the same varietal vines down below on the slope, the upper vines should be treated differently and maybe picked earlier. A boutique winery is a winery that looks at its grapes as its biggest asset and not its technology, brand, and bottle count. A boutique winery worries about every small detail, down to the time to pick a single row of vines, all the way to what yeast to ferment that plot of grapes with, and what barrels to age those grapes in. If I were forced to explain what a Boutique winery is to me in a single sentence it would be this. A boutique winery is; a winery where every grape and every small decision is weighed with the quality of the product in mind more than the bottom-line. This could be taken out of context to say that larger producers do not care about quality or that they act in a more bulk minded manner. That could not be farther from the truth. 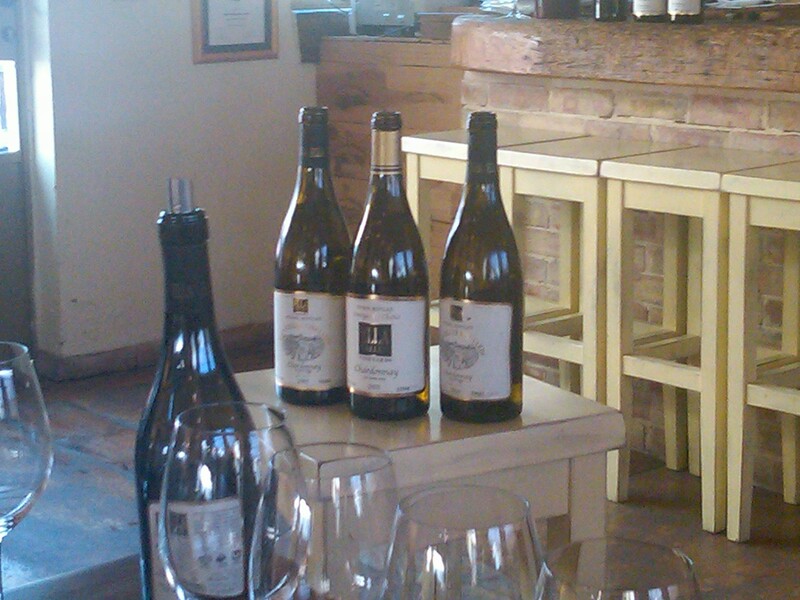 Just look at Carmel’s appellation series, or Castel’s Grand Vin wines. In the end, many large wineries have more boutique styled wines in their massive portfolio, but it is always cool to drink wines from a winery where all the bottles and varietals are managed using the same boutique approach. All aspects of the wine production follow the boutique definition, Ella Valley uses a sorting table, separate varietal and plot fermentation, separate barrel aging for each plot. Finally, they produce unique blends that will either find their way into the top line rarely produced – E wine, and some that are destined for the lower but also rarely produced RR wine blend, and yet the others are destined for the yearly released EverRed wine. Once the blends and single varietals are chosen for bottling, the wine goes through little to no filtration as it works its way into the bottles. The past few years the winery has added Petite Verdot and Petite Sirah to their single varietals. They have been growing these varietals for some time in their 200 acres of vineyards, but they did not feel the quality was good enough. Doron said it best, each and every plot and varietal requires some learning time. Burgundy did not just happen, it took hundreds of years to get a clear idea of what grapes grow well in that terroir. The Petite Sirah initially was producing grapes like a rabbit, and it took some time till the vines started to lose their virility and get angry at what the vineyard managers were doing to them. By then the vines were yielding smaller crops and more concentrated fruit, and so they were ready to be bottled under the Ella Valley brand. The rest of the fruit from their vineyards are sold off to other wineries. I am biased I must admit as my first real love of Israel wine came through the conduit of Yarden and Ella Valley, still I am not the only person who thinks positively about this winery. Daniel Rogov states that Ella Valley “has vineyards that might well serve as a model of efficiency and beauty anywhere in the world”. I personally think this winery is an under-appreciated winery in the land of Israel, and one that has the “cannot miss” stamp of approval from my personal experiences. A personal note on the Chardonnay wines of Ella Valley, they all scream with bright and clean grapefruit, sometimes guava and kiwi, and all balanced with oak and brioche. I find that through my travels of wineries around Israel, wineries are finally getting the message; we do not want another California Chardonnay. By loosening the death grip of oak on these wines the winemakers are doing themselves and the wine, both, a favor. By having the wonderful opportunity to take a march through time of Ella Valley wines, we will all be privy of how Doron has always had a firm grip on his usage of oak in his wines. Of course it is there, but it is not used as an additive, but rather as a light spice, allowing the oak to round the mouth, without impacting the bright and clean fruit. This shows true from his first Chardonnay, the fruit was still very clean but starting to fade, and the oak starting to take more of a center stage, but of what fruit there was left, it was clean. From there the fruit came in loud and clear and it was a joy to see consistency throughout the entire horizontal. Finally, when we came to the 2007 unoaked Chardonnay, he asked us what seemed to be a simple question. When do you take the fruit for an unoaked chardonnay, early like they do in Champagne or just as they would for normal Chardonnay, at 25 or so brix? I answered earlier like Champagne – I was wrong! Doron explained that to get the bright and rich fruit flavors you should take the fruit off late and let the fruit expression come through loud and clear, either with or without oak. So when you look at the notes of the 2007 oak and unoaked chardonnay, please understand that they are the same fruit, picked at the same time, and treated the same way up to the aging process, part went into steel and part went into oak. From there the two batches were bottled separately with clear labeling. It is a real treat to taste them side by side, so I would recommend doing this yourself, by buying the two bottles and seeing the differences for yourself. Mind you, the last time we went to the winery, we also had a chance to taste the 2007 vintages side by side, and had the same equally enjoyable experience. 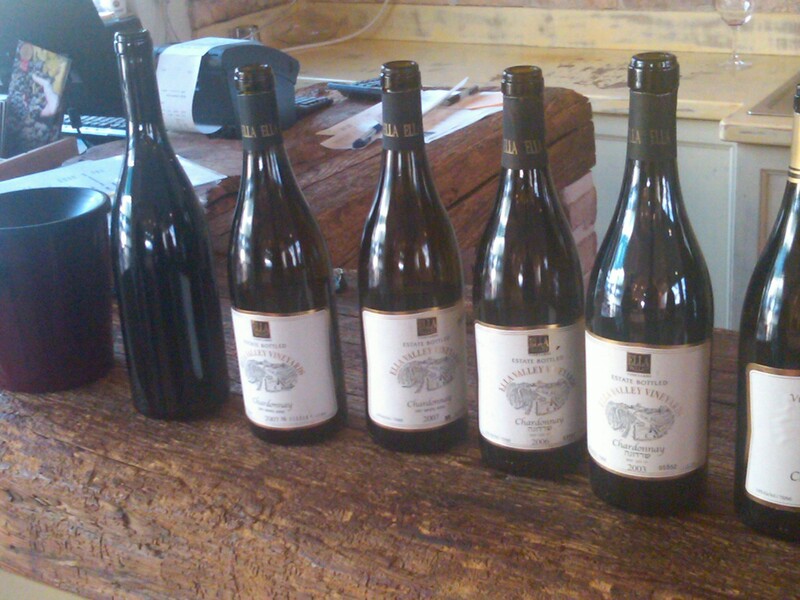 I cannot start to close this posting without a huge thanks to Doron and all the people at the Ella Valley Winery for taking out a large amount of their time and wine to share with a few blokes – like three of us. We had a truly wonderful time and I hope that after your finish reading this post and the notes that follow, that you will also see what I love about this winery, beautiful clean lines and the love of true fruit. The nose on this light gold to gold colored wine is filled with smokey toasted oak, creme brulee, peach, apricot, guava, toast, fig, grapefruit. The mouth on this medium bodied wine is rich in the mouth with oak, guava, fig, and grapefruit. The mid palate is balanced with acid, toast, and creme brulee. The finish is spicy with green notes, mineral, with creme brulee, brioche, and toast lingering. The nose on this light gold colored wine is filled with oak, guava, peach, brioche, almond, creme brulee, and lovely grapefruit. The mouth on this full bodied wine is rich with guava, grapefruit, peach, almond, and kiwi. The mid palate flows off the mouth with balanced acid, light butter, and creme brulee. The finish is long with hints of mineral and green, along with creme brulee, acid guava, kiwi, and brioche lingering nicely. The nose on this light gold colored wine is rich and very expressive with light oxidation, creme brulee, peach, toast, grapefruit, and guava. The mouth on this rich and mouth filling full bodied wine is has fruit that follows the nose with guava, grapefruit, and kiwi. The mid palate flows off the mouth with nice balancing acid, creme brulee, toast, and butter. The finish is long, creamy and buttery, with oak, creme brulee, grapefruit, and fig. This is truly one of those lovey creamy wines that carries itself well with bright fruit. The nose on this light gold colored wine starts off with a unique smell; salty mineral almost ocean water, wet grass, grapefruit, peach, kiwi, guava, and oak. The mouth on this medium to full bodied wine is rich with fruit from the nose, grapefruit, guava, kiwi, peach, and green apple. The mid palate is balanced with acid, spice, and toast. The finish is a long and mineral finish with bright fruit, grapefruit, oak, and a lovely grapefruit finish. The nose on this dark straw colored wine is super bright with elegant kiwi, grapefruit, green apple, apricot, and spice. The mouth on this medium bodied wine is filled with grapefruit, peach, and kiwi. The mid palate is balanced but still acidic with bright tropical fruit. The finish is super long and lovely with bright fruit, acid, kiwi, and grapefruit. The nose on this light gold colored wine is filled with honey, kiwi, grapefruit, peach, brioche, flinty mineral, and oak. The mouth on this medium to full bodied wine is bright and rich with honey, kiwi, grapefruit, apricot, and peach. The mid palate is balanced with acid, oak, toast, and light creme brulee. The finish is long and lovely with toast, brioche, creme brulee, bright grapefruit, kiwi, and mineral, with the creme brulee and grapefruit lingering long. 2008 Ella Valley Chardonnay – this wine was skipped because of shmitta reasons. Our host was more than happy to share some with us, but we kindly refused. 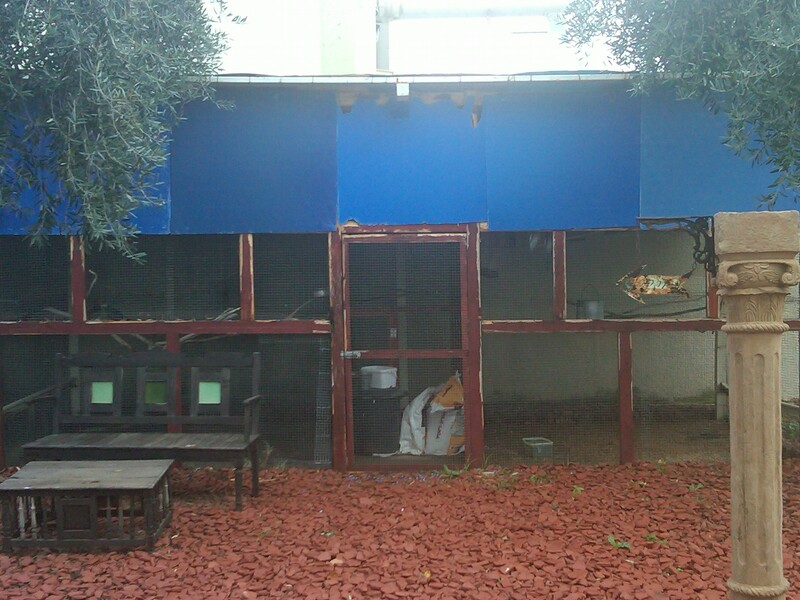 More on Shmitta and kosher-101 can be found here. The nose on this straw to light gold colored wine is filled with cut grass, grapefruit, kiwi, bright summer fruit, slight toast, peach, and oak. The mouth on this medium bodied wine is carries the nose with grapefruit, kiwi, and peach. The mid palate is balanced with oak, acid, and toast. The finish is long and bright with toast, light creme brulee, grapefruit, kiwi, and mineral. Another lovely clean and bright fruit Chardonnay with slight brioche and toast characteristics. The nose on this lovely purple to black colored wine is screaming with oak, tar, blackberry, mint, eucalyptus, plum, bramble, and chocolate. The mouth on this full bodied and viscous wine is layered with blackberry, bramble, mint, plum, tar, chocolate, black currant, and raspberry. The mid palate is balanced with acid, chocolate, nice tannin, and oak. The finish is long with pepper, blackberry, oak, chocolate, tar, plum, and black currant. The mouth lingers with black currant, blackberry, tar, chocolate, and oak. 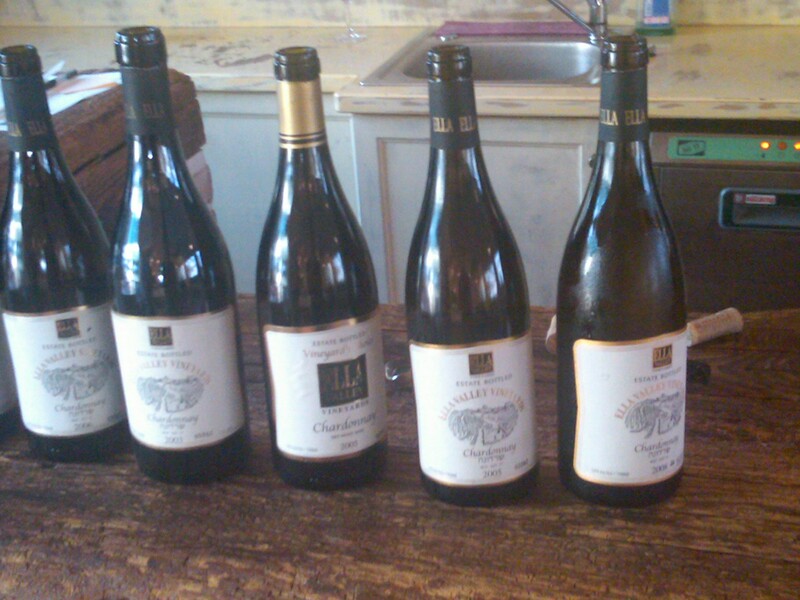 Posted on May 30, 2011, in Kosher Red Wine, Kosher White Wine, Wine, Wine Tasting, Winery Visit and tagged Chardonnay, Ella Valley Winery, Syrah, UnOaked Chardonnay, Vineyard Choice. Bookmark the permalink. 17 Comments. I heard that is is leving soon. Indeed, unfortunately the rumor is true Doron Rav Hon will be leaving the winery at the end of this year. Best wishes to you Doron, wherever you go, I am sure you will continue to excel, as you have at Ella Valley Winery.